There comes a time in every hike when its finiteness must be considered, its ending contemplated. How can I get back to civilization from the woods of Maine? Which resupply box should my passport go in? Can I walk from Santiago to the airport? On longer treks, this day of reckoning comes after months of walking. On relatively shorter ones, like the Colorado Trail, it must come just a few weeks into the journey. 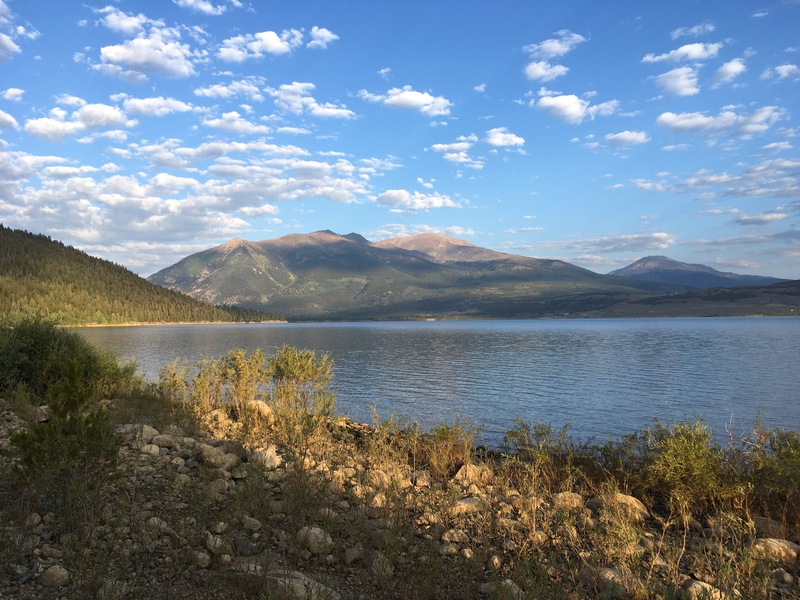 So, with an ample supply of cell service, dehydrated mango slices, and scenery to stare off into, I sat beside the southern of the Twin Lakes this morning and figured out how exactly I might get back east. By the end of the morning, I had an 11-step plan involving transportation by foot, thumb, bus, train, plane, and car. Trying to explain it is unwieldy, but I think it will work. In the meantime, I’ve been surprised at how much day-to-day planning I need to do on this trail. Generally, my MO is to plan out my rough resupply schedule and then get from one maildrop to another by simply hiking until dinner time each day. Here, I find myself planning daily destinations long in advance, ensuring that I’m setting myself up for comparatively low and below-treeline nights. Because of these logistics, today was a short day — and my first in the Collegiate East section of the trail. (I’m saving Collegiate West for my eventual CDT thru-hike.) It was also an unusual day, with so much arid terrain that I’d have sworn I was back on the PCT and then a good, long climb up to the shoulder of Waverly. I’m tucked into my tent early, at a campsite above rushing Pine Creek. By my estimation, I have just 15 or 16 days left on trail. I’m looking forward to savoring them.